How can I build an oven that's not even listed in my appliances? How do you use non food gift items I'm trying to build something I hav.. I bought a ice cream machine and all that showed up was a box?? I don'..
How do I Sign into my restaurant with my Storm ID? I just had my ..
How can I get more diamonds (gems) without having to pay actual, real-.. I assume you mean how to build the goal ovens that are locked in the appliances tab? In that case, you can't. They don't re-release old goals, unfortunately, and you can't use the device clock to manipulate time to when an old goal released as it's an online game that is purely server-based, preventing local tampering and other tricks that can be quickly identified on their servers. All we can hope for is that in the future, if the game is ever discontinued, Storm8 make it offline, take off the limited goal feature & rerelease all uncompleted limited goals in the goal tab without a time limit. How can I get more appliances? I've got 18 appliances.. 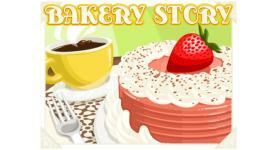 I play bakery and restaurant story but the goals disa..
Is it possible to block other users from your wall? B..
How can I log out of my storm ID? My younger sister ..
How can I get a lot of gems for free?? Is there a way to reset data on my r..